The Nissan Be-1 is given a limited edition release, this time with a hot red body. The actual Be-1 was only sold in Japan, but proved popular with the Japanese public after its 1987 release. It was based on the chassis of the original Nissan March (also known as the Micra in many countries). 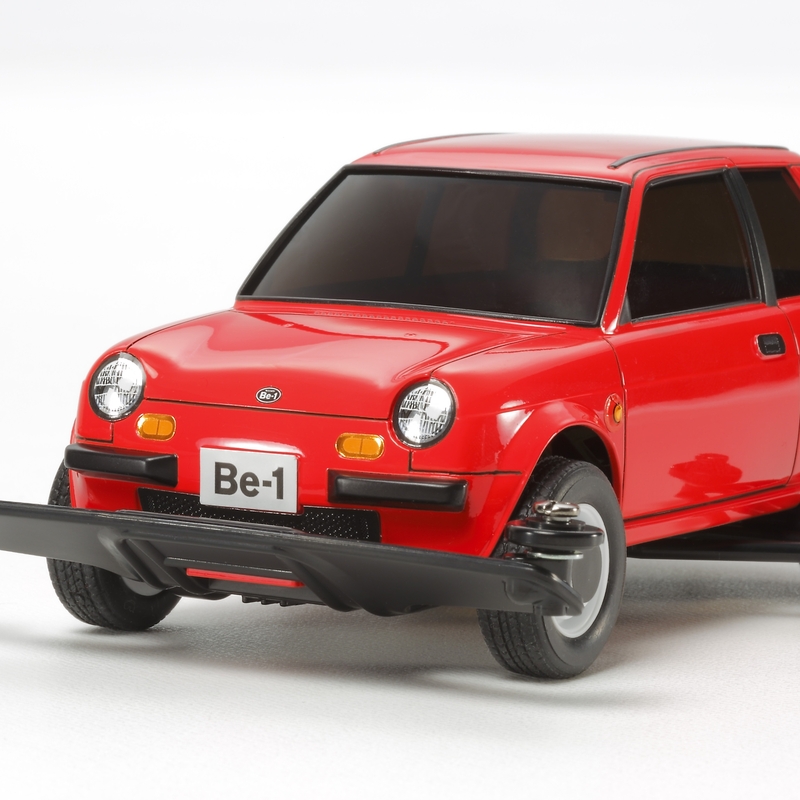 The Mini 4WD racer proves faithful to the classic car from the 1980"s.
The body of the Be-1 is recreated faithfully in tough Red PS material. Windows and windscreens are molded in Smoke colored Poly Styrene. Includes stickers to depict emblems, number plate, lights and more. 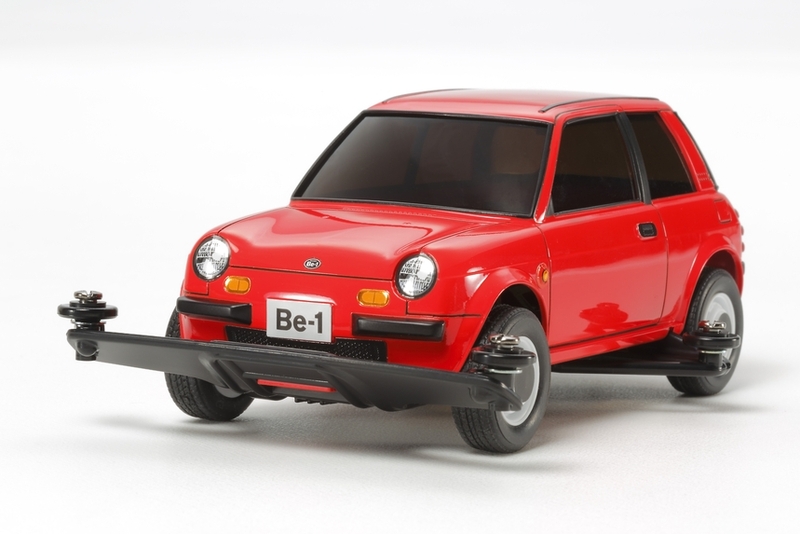 Special Feature 1 The body of the Be-1 is recreated faithfully in tough Red PS material. Windows and windscreens are molded in Smoke colored Poly Styrene. Special Feature 2 The model runs on the Type 3 chassis, which is molded in Black ABS resin. Special Feature 3 Features Black tires with tread patterns fitted to White wheels.